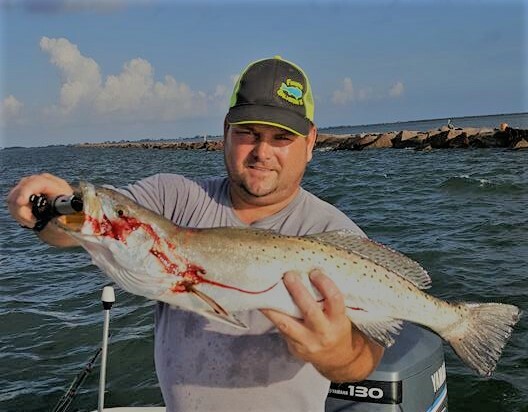 Captain Johnny Stuart (USCG Ref# 3796029) has grown up in Galveston County, and fished the waters of West Galveston Bay and the Jetties his entire life. Captain Johnny has been married to his wife, Tracy for over 22 years and has three children. He loves bringing families and kids out and sharing the love of the outdoors with them. Captain Johnny is passing on his love of the water to his youngest son, Johnny Boy. 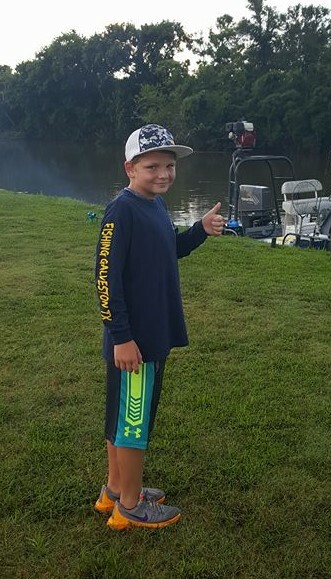 When he is not in school or praticing football, you may find Johnny Boy on trips with his Dad pulling up anchor, netting fish, baiting hooks and cleaning fish.